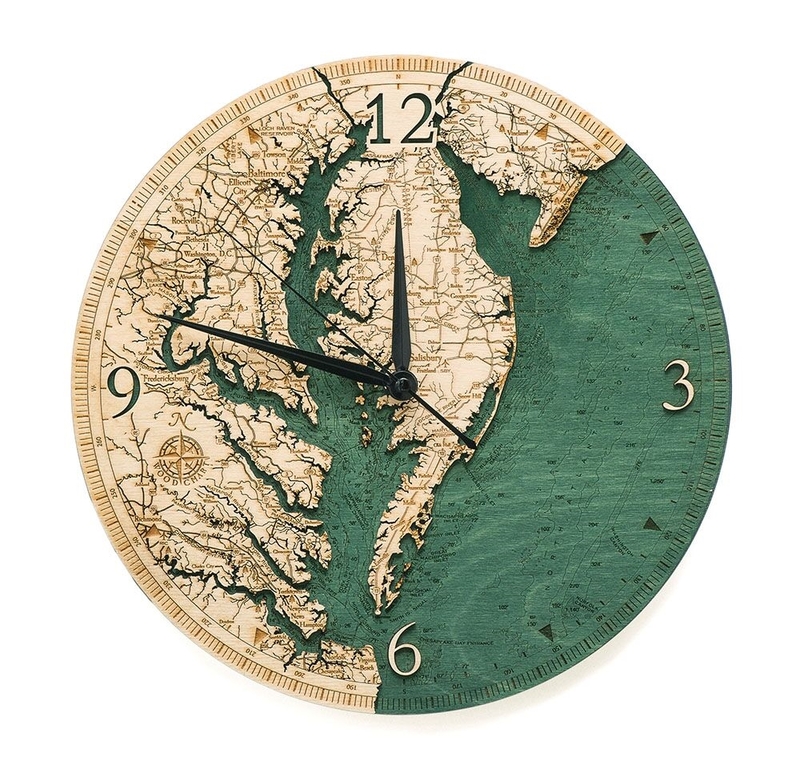 The Chesapeake Bay Custom Wood Clock is made from precision laser cut and etched Baltic birch. The water area is stained blue/green and is recessed 1 layer below the land and islands to give a dimensional look. The lakes show water depth contours with soundings laser etched on each contour. The clock face shows precise shorelines, highways, landmarks and lettering. Special finishing techniques bring out the natural grain of the Baltic Birch. The clock is powered by a single AA battery. Purchased as a gift for my in laws and EVERYONE loved it! It truly is a stunning clock. Shipping time was above my expectations as well! This clock was even more beautiful and well crafted then I could have imagined.